Longstanding historical and political relations between Moscow and Beijing give an edge to Russian businesses over their international peers in China, an editor at Asia Weekly, Brian Yeung, told Radio Sputnik on the sidelines of the 21st St. Petersburg International Economic Forum (SPIEF). 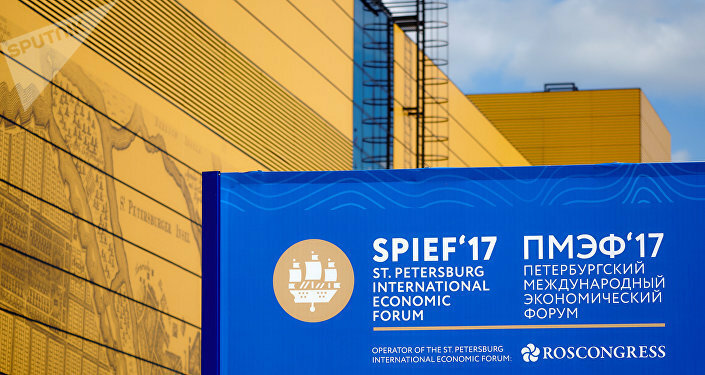 The 2017 St. Petersburg International Economic Forum (SPIEF) started Thursday bringing together foreign ministers, entrepreneurs and representatives of various international organizations; speaking to Radio Sputnik one of SPIEF's participants, Brian Yeung, an editor at Asia Weekly, shared his views on the prospects of Sino-Russian cooperation. International observers consider Western sanctions against Moscow the major reason behind Russia's turning to the East, Yeung noted; however, according to the journalist, what is happening today is part of a broader phenomenon. 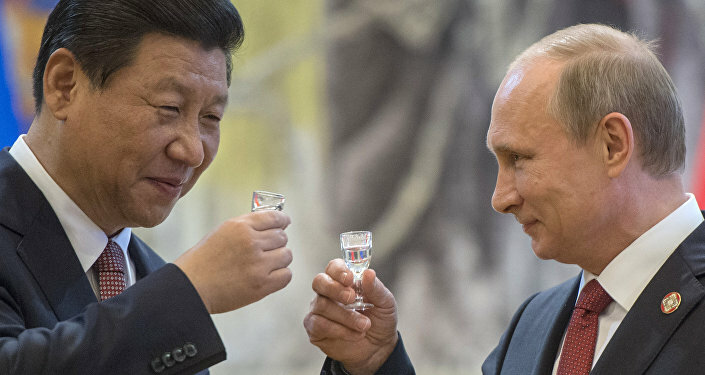 "There has been a lot of talk about Russia turning to the East because of Western sanctions introduced in 2014," Yeung told Sputnik's reporter Denis Bolotskiy. "Of course, I've seen an increasing percentage of Russian business [in China], but one thing I want to clarify is that it might not be related to the sanctions." The journalist emphasized that if one takes a look at other global powers one would see that their businesses have recently turned their eyes to Asia. "While the geopolitical situation could be one factor, the thing is that China is rising and there is increasing business interest in China [on the part of foreign entrepreneurs]," the journalist stressed. However, this prompts yet another question as to whether Russian businessmen will manage to compete with their foreign counterparts in mainland China and Hong Kong. "I would say that a big question for Russian businesses nowadays in Hong Kong and in China is that how to compete with international peers," Yeung noted. "Going to China, going to Hong Kong has become a global phenomenon." "In my opinion," the journalist continued, "Russia and China actually have a long-lasting historical and political relationship that could give Russian companies an edge in the region." Xiang Bing, a professor at the Beijing-based Cheung Kong Graduate School of Business, shares a similar stance. According to the Chinese academic, Russian and Chinese businesses have a large potential for cooperation. "Russia and China should widen their cooperation. Our economies have a large potential to complement each other. China is developing industrial production while Russia is rich in natural resources. Resources are the key source for trade," Xiang told Sputnik on the sidelines of the forum. In addition, Russia has a developed heavy industrial base, the academic noted, adding that China, for its part, has made great progress in the consumer goods industry. However, Xiang called attention to the fact that there is a lack of Chinese investments in Russia, especially by private companies. To tackle this problem, Moscow and Beijing should make efforts to intensify contacts and communications between Russian and Chinese businesses. Meanwhile, Russian President Vladimir Putin has signaled his support for the idea to establish a yuan-demoninated investment fund. The initiative was proposed by the Russian Direct Investment Fund (RDIF) and China Development Bank. 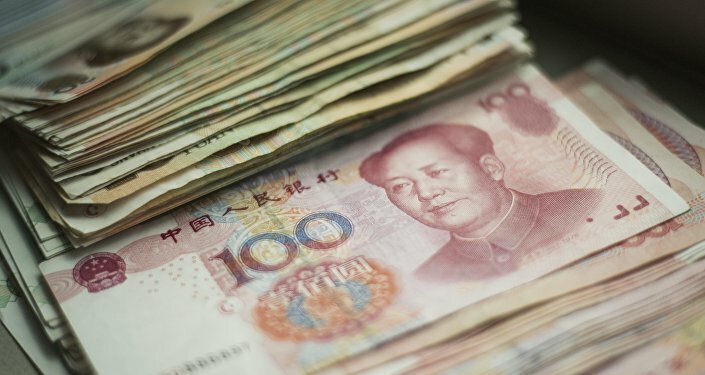 "The China Development Bank has already granted to Russia loans worth $70 billion. It offered to work jointly with the RDIF on creating a yuan-denominated fund, which will allow Chinese investors to invest more in Russia. The president supported this idea," RDIF head Kirill Dmitriev told Rossiya 24 TV channel. "We even discussed the possible idea of creating a Russian-Chinese Bank, which will allow better engagement in national currencies," Dmitriev added. Commenting on the forum's atmosphere, Sputnik's reporter Denis Bolotskiy, who worked on the ground, highlighted that despite the US and EU mainstream media's narrative about "Russia's isolation," facts have proven otherwise. "Judging by this year's list of SPIEF participants and official partners, not to mention the number of deals signed during the event, Russia is far from international isolation," Bolotskiy writes in his op-ed. "Rosneft and BP signed an agreement on cooperation in the gas industry. Gazprom and Royal Dutch Shell agreed on the main terms of their joint Baltic LNG project. Gazprom also struck a deal with Italy's Edison and Greece's DAPA on cooperation in creating a southern route for Russian gas supplies to Europe." Back in 1997, the first SPIEF event was attended by 1,500 participants. However, over decades, the forum turned into a unique international platform aimed at solving burning economic, social and political issues. The 21st annual forum kicked off on Thursday, bringing together over 5,000 participants from around the world.